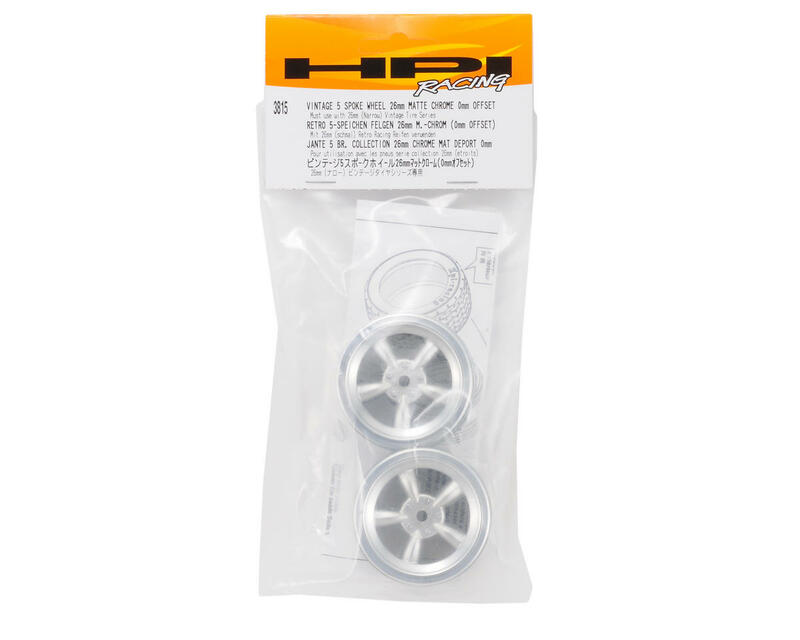 This is a set of two 26mm Matte Chrome 5 Spoke Vintage wheels from HPI Racing. 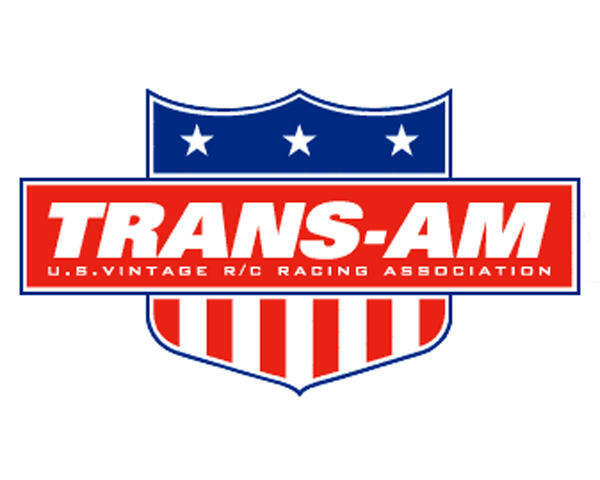 The Vintage Series is designed to give realistic looks to HPI's popular line of vintage car bodies. 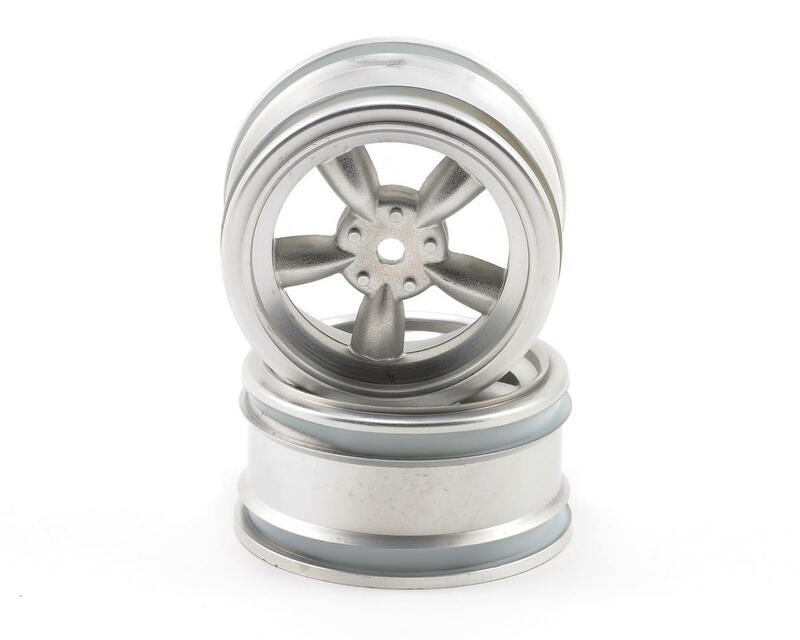 These wheels come in two offsets, 0mm offset for the front and 6mm offset rear wheels for an extra-wide stance. The 0mm wheels can also be used on all four corners of most electric and nitro touring cars. And, the 6mm wheels can be used on all four corners of 190mm touring cars to allow the use of 200mm bodies. Three finishes are available: shiny chrome, matte chrome, and black. Note: HPI Vintage Racing Tires must be used with these wheels.